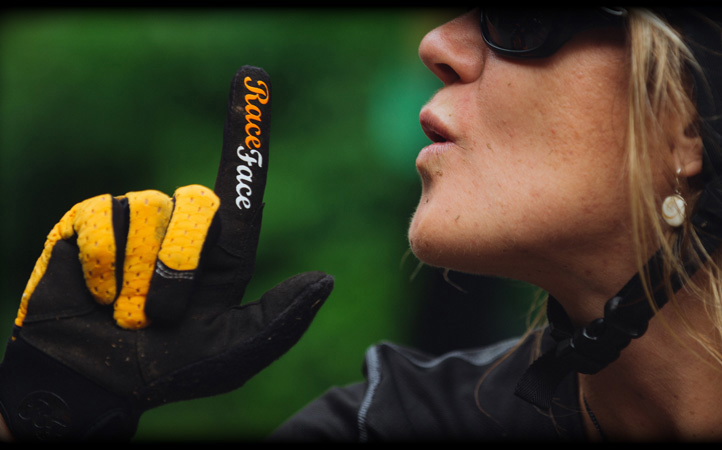 The Women's Khyber Gloves are a low profile, slip-on racing style glove. The back of the hand is silky, lightweight nylon mesh with cut-out detail. A minimal Amara palm with articulated panels offers optimal bar contact and feel. 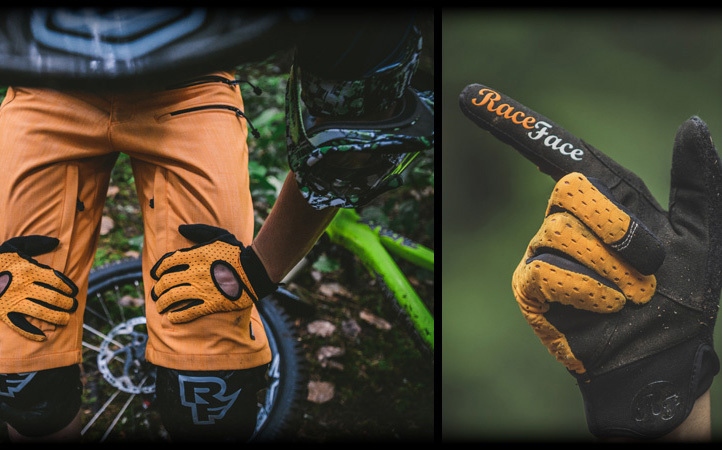 Silicone trigger fingers give maximum grip for braking duties even over the roughest of trails and you'll find the middle finger is touch screen compatible. The reinforced finger caps and reinforced thumb crotch gives the gloves excellent durability. 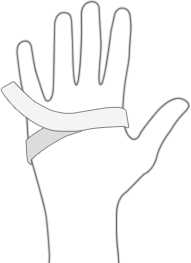 The palm side wrist closure is Neoprene with pull tab extension and lycra expansion gusset for ease when slipping on while the back of the wrist is woven elastic for a firm hold. Race Face Women's Khyber Gloves (2016) is rated 4.0 out of 5 by 2. Rated 4 out of 5 by CheriBenIesauCreativeArr from Nice, lightweight This is just a nice little glove- nothing out of this world, does the job, does it well.